This entry was posted on February 11, 2015 by Posturite. 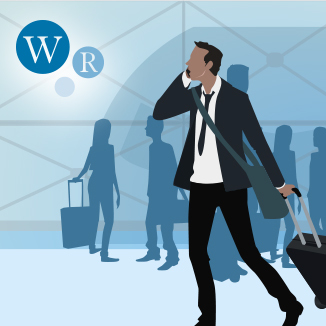 We may all be doing slightly less of it than we were a few years ago, but business travel is still part and parcel of working life for many people. Days spent visiting different parts of the country or travelling abroad, with nights spent in hotels, may sound exciting or even glamorous. But for those who actually do it with any regularity, the appeal is often not so great. Any form of travel comes with risk, so safety is always an issue both for the employee and employer. To help mitigate the elements of risk, WorkRite is introducing a new e-learning course, Travel Safety, aimed specifically at those whose work involves them in regular domestic or international travel. It focuses on issues such as the dangers of travelling, best practice, what to do in emergencies and employer duties. The new course will follow another recent addition, Slips, Trips and Falls, and bring to 18 the number of stunningly creative, highly interactive and commercially prudent programs in our fast-growing library. Our e-learning courses offer a convenient and cost-effective solution to a company’s needs to fulfil its legal obligation to its staff by ensuring they are properly trained in subjects such as DSE usage, manual handling, stress management and fire safety. All our courses can be adapted to meet companies’ individual needs and are supported by our highly praised and unique online management system which captures essential information for the health and safety team and provides a fully auditable trail of actions taken or required. If you would like to know more about Travel Safety or any of our other courses, speak to your local account manager, visit our website or call us on 0345 345 0030.